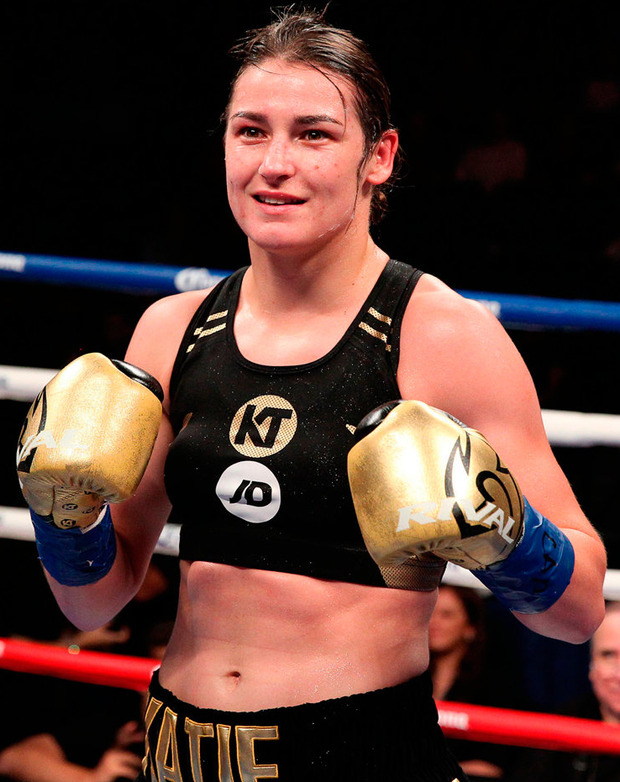 Katie Taylor, who is preparing for the biggest moment of her professional boxing career in her challenge for the WBA World lightweight title in Cardiff next Saturday, is now Ireland's most admired sports personality, according to sponsorship advisers Onside. Last year she took she took joint first place with former Ireland captain Brian O'Driscoll, who has dropped to third position. He comes in behind MMA champion Conor McGregor, whose popularity has risen significantly over the past 12 months following his high-profile bout with American boxer Floyd Mayweather. According to John Trainor, ceo of Onside: "McGregor's venture into boxing this summer saw his star rise most significantly in our latest research. "Stars like Conor McGregor and Katie Taylor, who were central to significant ambassadorial programmes with major brands like Budweiser, Beats and JD Sports in 2017, can elevate their personal and their sponsor's brands to game-changing new highs through smart deals next year." Broadcaster Jimmy Magee, who passed away in September, was recognised by the public who voted him into sixth place on the Onside list of most admired sports personalities. Galway All-Ireland hurling champion Joe Canning was the only GAA star who made it into the Onside Top 10. In terms of sports stars most admired by men, the survey of over 1,000 people found a three-way tie between Taylor, McGregor and Roy Keane. Meanwhile Paul O'Connell remains the most admired sports star among the public living in Munster. "Rugby players as a collective remain the most admired group, followed by Irish soccer personalities," said Trainor. Outside of sport, Onside found that Ryan Tubridy has retained the number one status as the most admired television or radio personality in Ireland for the fourth year in a row, with previous Late Late Show presenters Gay Byrne and Pat Kenny making up the Top 3.